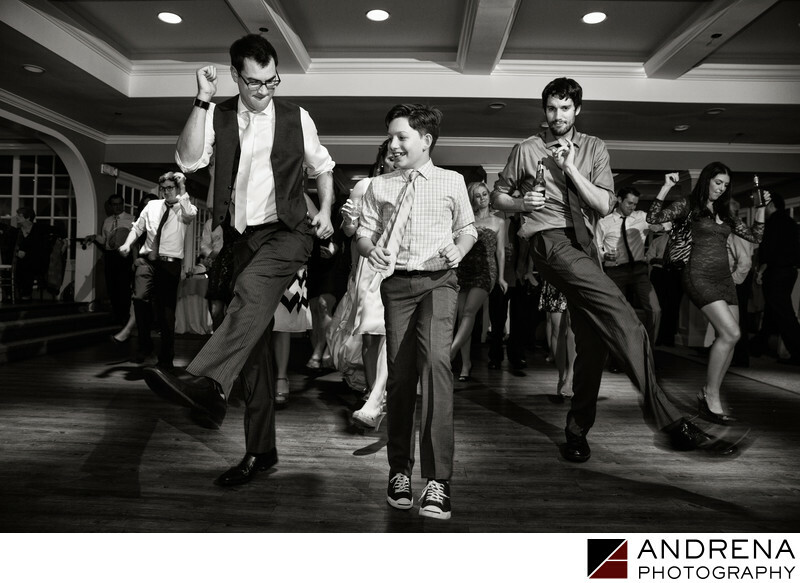 You don't have to be working at a grand location to take a great dance shot during a wedding reception. For this photo, taken at Verandas in Manhattan Beach, I used off-camera lighting and a low vantage point to capture this fun moment between two adult guests and a younger guest. I find that dance photographs look better when the subjects are facing the camera, so I always try to turn people towards my lens (even though they usually want to face their friends instead). So brides, give your photographer a few face-front photo opportunities before you turn back to your friends. You'll like the resulting images better, I promise. Wedding photographed at Verandas, Manhattan Beach.